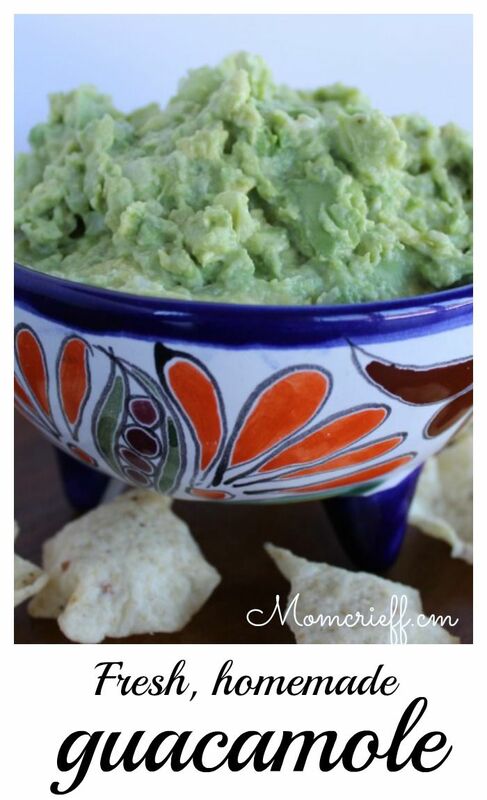 Guacamole – easy from scratch recipe! Home made guacamole isn’t hard to make. 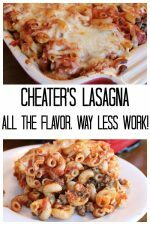 There are a couple of tricks to make it a quick and easy recipe. One that you can whip up on a minute’s notice when you have friends arrive. I can’t take credit for this recipe. My Hubby was making this way before we were even married. He has some recipes that are awesome. I’m trying to convince him to be a regular contributor! Friends and neighbors love this recipe! People are always surprised that it is a from-scratch recipe. I guess most people buy their guacamole ready made. Ummm, I don’t think we’ve ever done that. Mind you, I have stressed over finding those darn avocados. 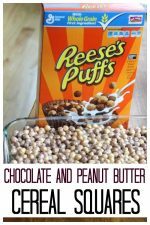 Not always the easiest to find, especially when they are just a little soft, which is what you should be looking for when you need them for this recipe. Try this recipe! You won’t be disappointed. 4 cloves garlic (small ones) Hubby says DO NOT use garlic salt!! Cut avocados in half and take out the seed. Hubby ‘wacks’ the knife into the avocado seed. 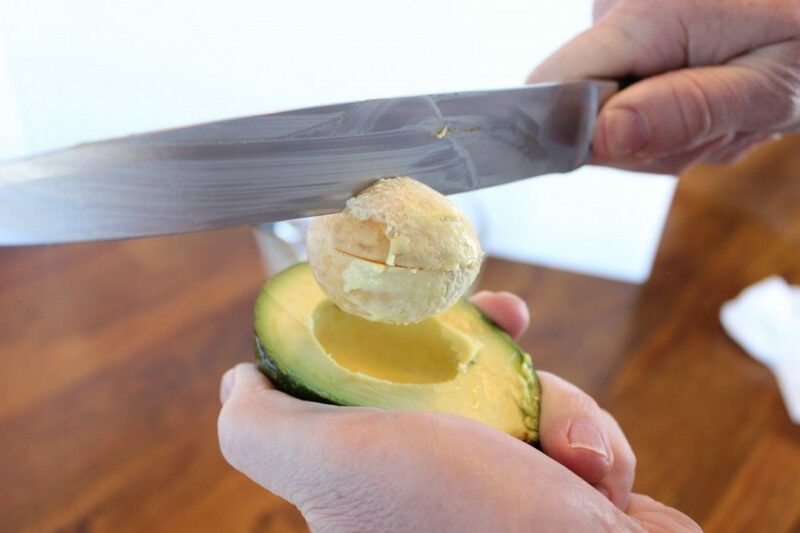 Pick the avocado up, then using the knife, turn the seed and it pops right out. Didn’t know that trick, now did you? I still think it’s an awesome hint. Plus, you can get a little aggression out on the avocado seed with your knife. Remember though, safety first! Scoop the avocado into a bowl and lightly mash. We just use our potato masher. A large fork would do in a pinch. Make sure you don’t over mash. You want it a little chunky. Some texture adds to the awesomeness of this guacamole. Squeeze about two teaspoons of lime into your mashed avocado. The lime adds a little zing to the flavor (or as hubby calls it, brightness). It also helps preserve the avocado and slows down the dreaded browning. Fresh is best but in a pinch, the bottled lime juice works. Gently stir it all together. Add your sour cream. EASY on the sour cream. Remember, the avocados are creamy on their own. Low fat mayo works just fine. Gently mix and then put in your prettiest small bowl. (my suggestion, not hubby’s, ha, ha). Cover well with plastic wrap. Totally stick the plastic wrap onto the guacamole before putting it in the fridge. Air will make it turn brown! Let the flavors mingle for at least 2 hours before serving for best flavor! We love the scoopable tortillas. Serve, enjoy and know you made this totally from scratch. As much as I like ‘cheater recipes’, some things are better fresh and from scratch. This sure is one of them. Reminder: IMPORTANT TIP! Home made guacamole will brown easily. If storing, take your plastic wrap, and really stick it onto the guacamole. 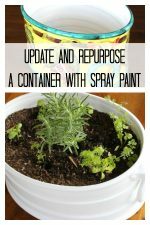 Make sure you get any air bubbles out because the air will cause brown spots. « Cling wrap tip (and foil too!). 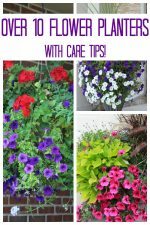 Thanks for the tips! Hot pepper could be a real tasty alternative! Thanks for the recipe, it looks delicious. Try leaving the whole pit in the guac while it is refrigerated this also helps to prevent browning. 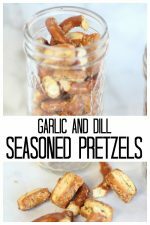 My sister is allergic to garlic (I know …poor woman) so when she comes we use a hot pepper to zing it up works great and gives a little heat, I have also tried a little cayenne pepper when I don’t have a hot pepper on hand. Thank you for the nice comments. I honestly think people don’t realize how easy huac is to make! I’ll definitely have to try the cumin. Thanks for the suggestion! Love the recipe! (Pictures are great too!) 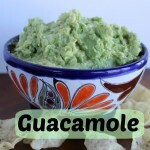 this is the way I’ve been making my guac for years! I sometimes add a dash of Cumin in it as well. it definitely brings out the flavor! Try it sometime!